Kombucha is an effervescent tea that is produced through the process of fermentation. Generally, black or green tea is fermented using SCOBY, which stands for symbiotic culture of bacteria and yeast. The bacteria are used to oxidize the alcohols that are formed by the yeast, creating acetic acids. The SCOBY is introduced to a broth of sugared green or black tea. This causes a reaction that creates gluconic and acetic acid, both substances that are present in the final concoction. The process also creates enzymes, amino acids, and ethanol, as well as B vitamins and vitamin C. The alcoholic content is generally less than 1% but that can increase with more fermentation. Proponents of kombucha have made many claims about the health benefits of the fermented beverage. One of the most common claims among commercially sold kombucha brands is that it can help increase good gut bacteria, leading to improved digestion and overall better health. Others have made claims that suggest that kombucha has properties that cure asthma, diabetes, gout, herpes, and even cancer. Currently, there is not much scientific evidence that supports a direct link between kombucha consumption and improved overall health. Some correlations suggest that the cultures can act similarly to probiotics, and there is certainly anecdotal evidence of relief in some people who have suffered from digestive issues. However, these anecdotes do not constitute enough proof to definitively say that kombucha can fix your gut health. While some health benefits have been observed, there have also been negative effects associated with kombucha consumption. Some people suffer from upset stomachs shortly after drinking the tea, and others have had allergic reactions ranging from mild to severe. These can be made even worse by home-brewed kombucha, where amateur brewing may lead to nonsterile conditions and even cause lead poisoning. For those with already weakened immune systems or diseases, kombucha can exacerbate the conditions. It can lead to low blood sugar in diabetics and cause acidosis or liver damage in those with HIV or other autoimmune diseases. The excessive amount of yeast in kombucha can lead to yeast infections, especially in those who already suffer from candida. The studies of kombucha find that the benefits are very similar to those that are found in regular black or green tea, so it may not be worth it to risk the negative side effects. There have been a handful of adverse effects reported in relation to kombucha consumption, but they are generally isolated and mild. A handful of people have suffered from liver and kidney toxicity after consuming kombucha. This could be due to the minimal presence of alcohol or the high level of acidity, which has also lead to acidosis in some individuals. There is only one reported fatality that has been linked with kombucha, but there is no conclusive evidence that the beverage was the cause of the death. Many people enjoy the flavor and carbonated mouthfeel of kombucha, and most evidence suggests that it is not likely to harm you. However, you shouldn’t rely on the drink to fix any specific ailments you may have, as there is no proof that it is really a miracle worker. If you enjoy kombucha, you should have no problem with consuming it in moderation. Some people may feel better after drinking it, so there is no harm in trying. 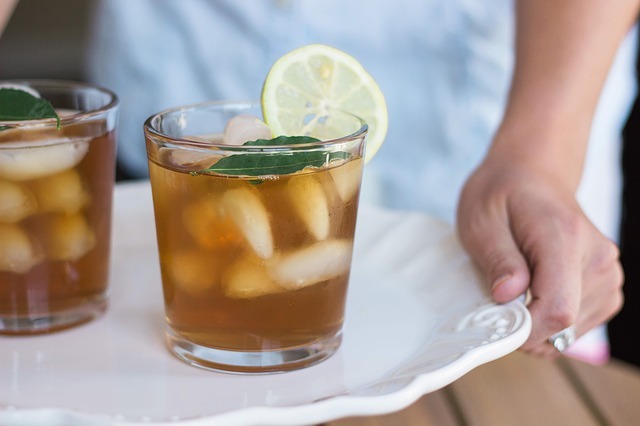 As of now, the jury is still out on whether or not kombucha is a surefire way to get healthy. There have been mixed results and it seems to vary from person to person, depending on their health levels. Because the positive effects are similar to that of black or green tea, you may be better of sticking to those if you prefer them. However, if you enjoy kombucha and have felt better since drinking it, you can continue to do so as long as it is done in moderation and enjoy the kombucha health benefits.